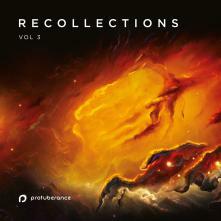 “Recollections vol.3” is completing the “Recollections” album trilogy by Protuberance on Mahorka that started with “Recollections” in 2014 and continued with “Recollections – part 2” in 2016. This new album is his 4th for the label (including his debut release “Dimension and breaks” from 2013) and his first to come out also as physical edition – a limited edition digipak CD. 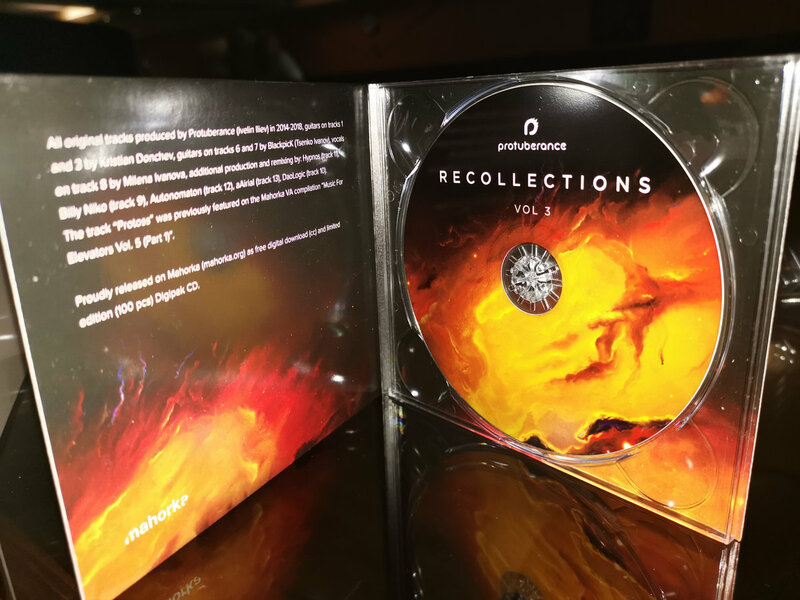 Again, just as expected from an epic ending of the “Recollections” series, the whole album is an extensive trip through different electronic music genres and influences and all music was done, collected, selected and reworked during a more than two years period. From deep and abstract electronic ambient sound, through inclusions of Kristian Dochev's and BlackpicK's guitars in different tracks with totally different styles of both guitar playing and electronic music on them, composition moments based on loads of atmospheric noises, the rough energy of more rock-breaks crossover electronica and experimental techno, to the soft sprinkles of some classically flowing but with abstract incursions liquid drum and bass and some classical deep house warmth with lovely female vocals – all of the original tracks have that unique Protuberance touch and sound. Sampled are some of Ivelin’s favorite computer games (“Doom 2016”, “Starcraft” and “Starcraft 2”), movies (“Tombstone”, “Aliens”, “Tales from the crypt”), field recordings from industrial warehouses and different natural noises under heavy effects, further contributing to the unique stories told by all different individual tracks and the trip as a whole. The album also includes as integral part of both the digital download and CD editions, together with the original tracks, five very different remixes, from dear to the project producers that complete the trip. Hypnos, who also has a solo release on Mahorka and a forthcoming second one is the Bulgarian artist Stanislav Genadiev – a proffessional dancer and choreographer, but also renowed electronic music producer and DJ under different artist monikers and in different collaborative projects, part of the Roboknob duo and also the person with whom Ivelin worked on “Eastern Depths” compilation series with the latest, third, edition of the compilation coming out on Mahorka. Hypnos has delievered a mindblowing remix of Protuberance’s “Blue Street”, which is the only version of the track included here. Autonomaton is the solo electronic music project of Bulgarian artist, DJ, event organizer and EcoSci label manager Nikolay Stanchov, who has done an outstanding abstact drone ambient rebuild of the album intro original track “Ghost ship”. Greek techno producer and DJ, Billy Niko, has delivered a pumping techno interpretation of “Biomechanical Modulation”. Russian project DaoLogic, who are long-time Mahorka artists and collaborators with few releases and few remixes for other artists on the label. There is a special story to the abstract downtempo electronica remix by the French music composer and producer aAirial of the track "Lonely cowboy and his shadow", that actually closes “Protuberance – Recollections vol.3”. Our release prior to this one was aAirial’s “Wanderings” album, that also, just as this one, came out as a limited edition CD in the beginning of 2019 and included some remixes next to the original tracks. The two CDs were to be manufactured together and so it happened during the artists-label final arrangements that aAirial and Protuberance also delivered excellent remixes to complement each other’s albums. Profit from the CD release will be donated to a RockSchool academy cause by Boyan Simeonov and Vasil Spasov, a great project that aims to introduce a well-developed music education program, adapted to all children and young students with blindness and other sight problems. Because music is a special universal form of language, communication media and art, allowing all to recieve and transmit inspiration, happiness love and reason, and for overcoming borders and barriers.